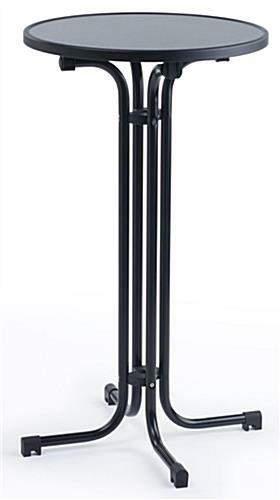 Tall narrow fixture goes from restaurant ot event use with ease. 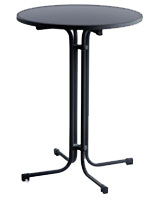 Durable materials create a commercial-grade stand that is long-lasting. 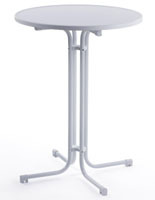 Snap-together style complements either traditional or modern stretch tablecoverings. 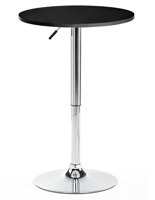 This folding highboy cocktail bar table consists of a 23.5" diameter MDF top with a 42.25" steel base. 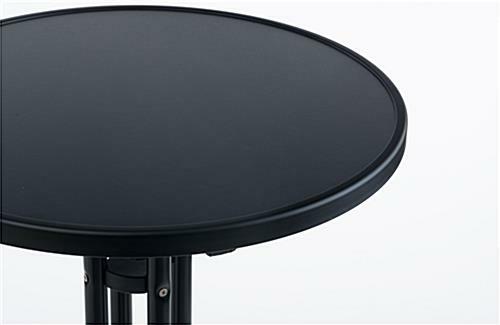 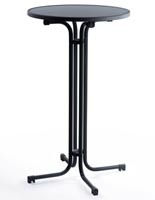 The snap-together design of this black finish accessory stays flat for transportation and storage but is a secure and sturdy fixture when set up. 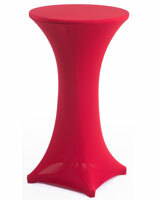 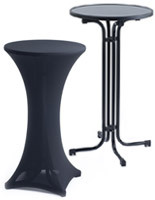 This collapsible event stand, folding highboy cocktail bar table has a tall narrow shape that complements either traditional cloth tablecoverings or spandex "scuba" sleeves depending on the style of décor desired. 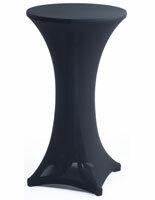 This lightweight occasional fixture has a tall, narrow shape that is perfect for intimate groupings or event displays. 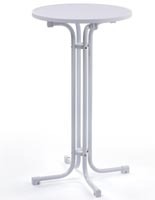 This pub-height folding highboy cocktail bar table, also known as a portable display fixture, can be ordered with same day shipping as a set with tablecovering included or as a standalone accessory in different sizes and finishes (see "related items" for details).